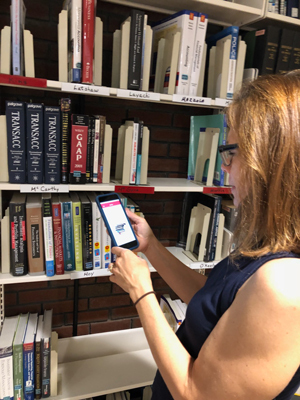 St. John's University's BKFNDr app uses beacon technology, location coordinates and detailed mapping to help students find the right books on the library shelf. It is a difficult fact of life for university libraries that circulation statistics for print materials have been steadily declining, despite the fact that there are a lot of print materials that students would find useful. 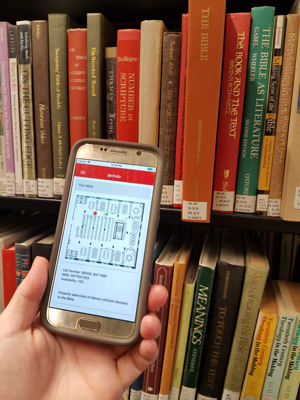 Determined to see if a novel approach to locating materials could have an impact on this trend, St. John's University Libraries (NY) created its own wayfinding app that takes advantage of beacons to cut down on the amount of time students spend wandering the stacks looking for books. The BKFNDr project was built from the ground up with no off-the-shelf or proprietary software and is completely tailored to the St. John's environment. It features full catalog integration, so that students can move directly from searching the library catalog to finding the items on the shelf. Valeda Dent, dean of St. John's University Libraries, had previously worked on a project involving RFID technology for wayfinding at another university. But with RFID, every item has to have a tag, she said, which makes the project labor-intensive and expensive. Instead, the Emerging Technologies team in the library zeroed in on a "proximity" model, using beacons to get students close to the resource they are looking for. "It is more cost-effective, and deploying the beacons is much easier than RFID," Dent said. "If your collection moves, you don't have to replace the beacons; you can just reprogram them from your mobile device." In a nutshell, here is how St. John's BKFNDr mobile app works: Students download the app onto their mobile devices from the Android or iOS stores. (Students are also prompted to make sure that they have Bluetooth enabled.) In the library, students can search the library catalog via the BKFNDr app. Once they select the material they wish to locate on the shelves from the search results, they follow indicators on the screen that guide them to the shelf where the item is located. On the student's screen, a detailed map of the floor and the bookshelves provide the backdrop. The student appears as a blue dot and the item he or she is looking for as a red dot. As users move toward an item, their progress is simulated on the screen, so they know whether they are getting closer to the item or going in the wrong direction. Once they locate the item, they can check it out on their mobile devices via the library's book check mobile app. The project began in 2017, and after several months of testing is now up and running on St. John's Queens Campus, with implementation on the Staten Island Campus slated for Fall 2018. 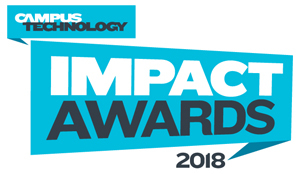 The Emerging Technologies group is made up of library faculty and staff, some with IT backgrounds and others with a user experience orientation. "We also worked with a mobile developer whose background is in GIS technology," Dent said. "It was the perfect combination. Wayfinding is dealing with geography and where things are in space. He helped us conceptualize the technology architecture, while the team here focused on the user experience and the functionality." Although there are many options for beacon hardware, St. John's chose Radius Networks' Rad Beacons for affordability, the variety of beacon hardware available and well-supported configuration apps. The university chose Apple's iBeacon software over other vendor offerings because the protocol was easiest to implement, noted Dent. 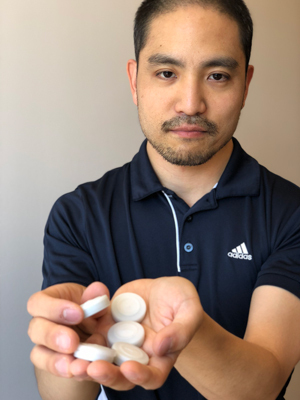 "We went with this product because of its dashboard – the idea that it is very simple to reprogram a beacon that needs to be moved and any one of us can do it. We don't have to be a developer to figure out how to do it. The other products weren't at the same level as far as user experience from the administrative end." One challenge the design team ran into involved tweaking the sensitivity and placement of the beacons. The placement on library bookshelves had to be carefully designed so that users would not get conflicting location notifications. To address this problem, St. John's created an algorithm to control the variability of beacon signal strength. The algorithm allows for the weighted total of signals emitted within a certain timespan to be used as an indicator of the beacon likely to be closest to the user. This means that the user is far more likely to receive the most accurate location notification. "We don't want students walking into a space and getting pinged from two different beacons," Dent said. The project team also had to work with developers of the library catalog, which was built using open source tools, to pull the correct metadata into the app to display as a student is searching for a book. The initial student response to the rollout has been very positive, Dent said. "Students appreciate that this task is now supported by technology." She expects an initial spike in use because of the novelty aspect. "When it levels off, we hope to see an increase in circulation." 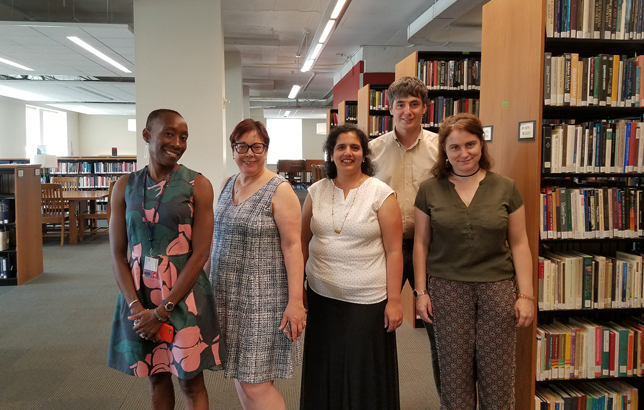 To sustain usage, the library plans to work with faculty members. "If they suggest that students use the app in a syllabus, for instance, the connection to coursework is more apparent than if the library just advertises a new app." The BKFINDR app is not a stand-alone project. It was designed to be implemented as a package with two other mobile apps developed to help students in the library. One, called InQuery, helps students use library resources to write research papers; the other is a mobile book checkout app. "With these three apps, students can complete the process of finding a resource, getting the resource and leaving the library," Dent explained. "It simulates in the digital space those three actions that most of our users take at some point." The three apps are part of a larger strategy to move toward an environment that is mostly mobile. "As we uncover additional services that can be mobilized," Dent said, "that is what we are aiming to do."